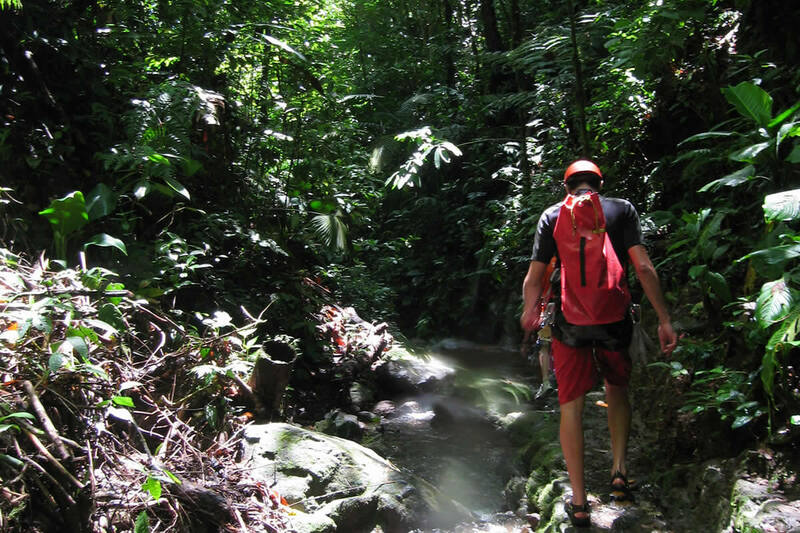 Lost Canyon Ops Center: After a fun, 25-minute ride in your Jungle Limo, you'll arrive at the Lost Canyon Ops Center. 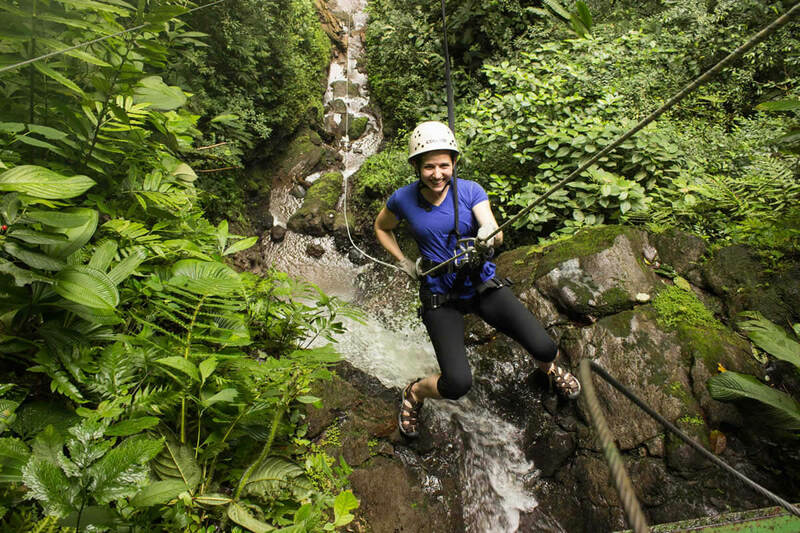 Is canyoning safe in Costa Rica? 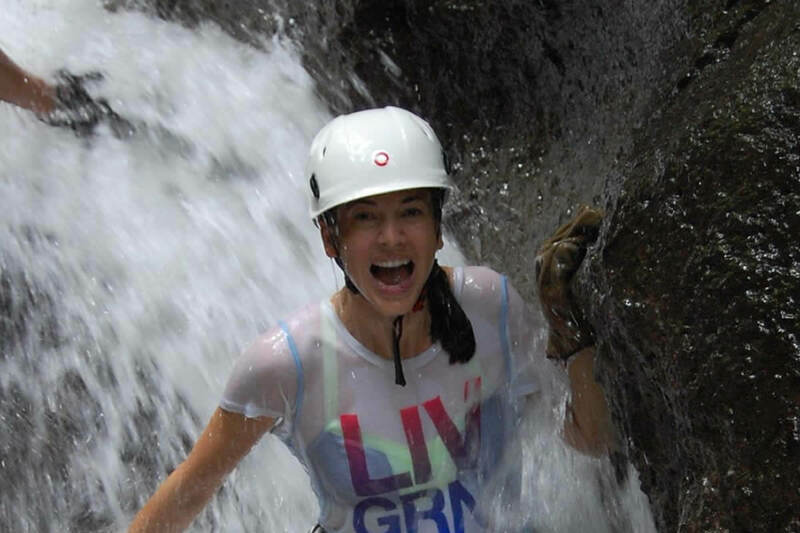 Your professional Desafio adventure guides will fit you with high-quality canyoneering gear and give you a safety talk and canyoning demonstration before beginning your adventure. Just LET GO! 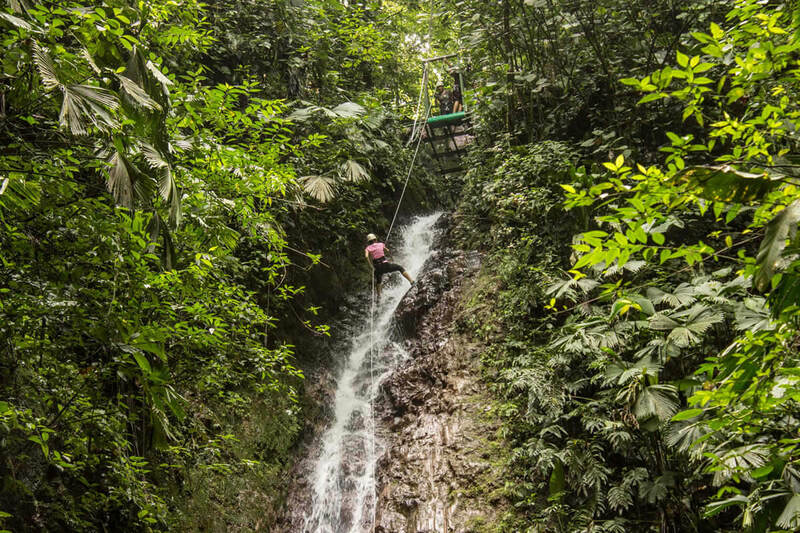 You'll soon reach what we fondly call the "Big Boy," the second largest waterfall. 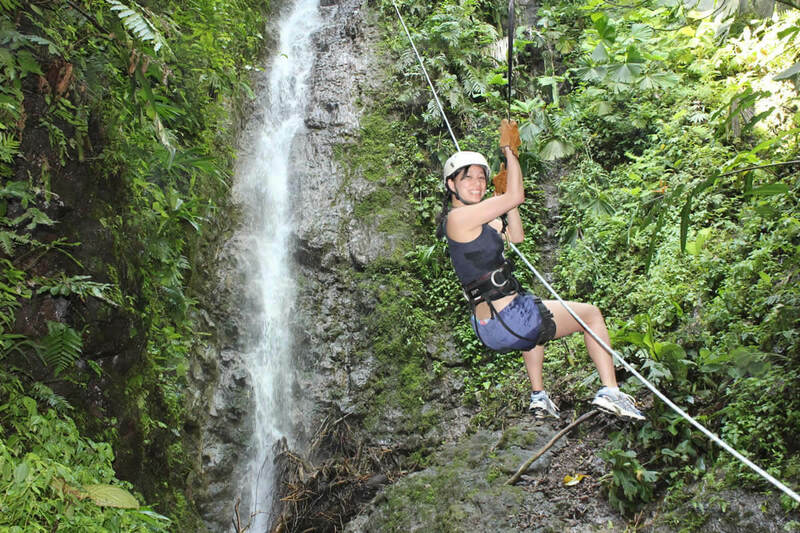 About half-way through your rappel, you'll hear the call to "LET GO!" 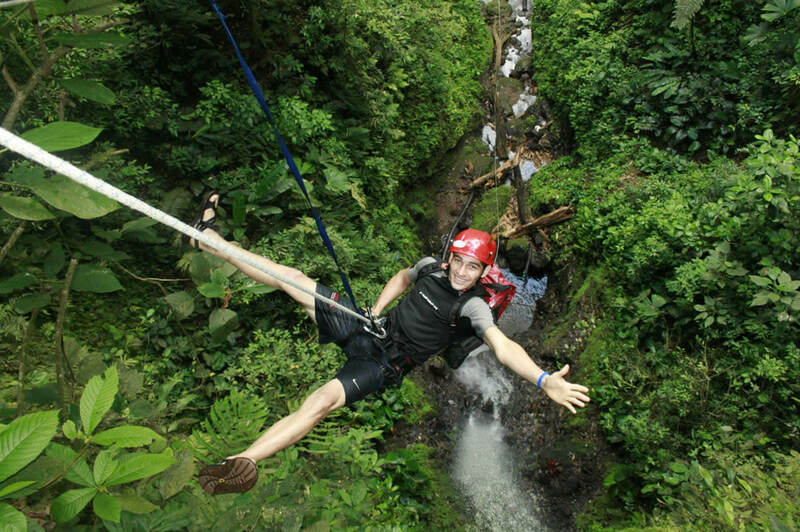 – a few moments later you'll experience your first guided, adrenaline-pumping canyon free fall! 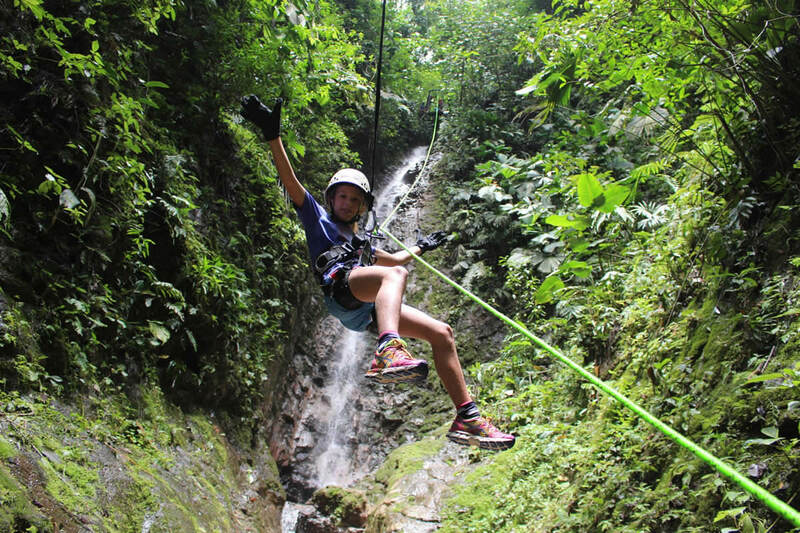 Heart racing and eyes sparkling, you'll continue your journey through the canyon as you build up to the largest Lost Canyon challenge: an exciting 200ft waterfall rappel. Tour guide, Lunch, Transportation, equipment.